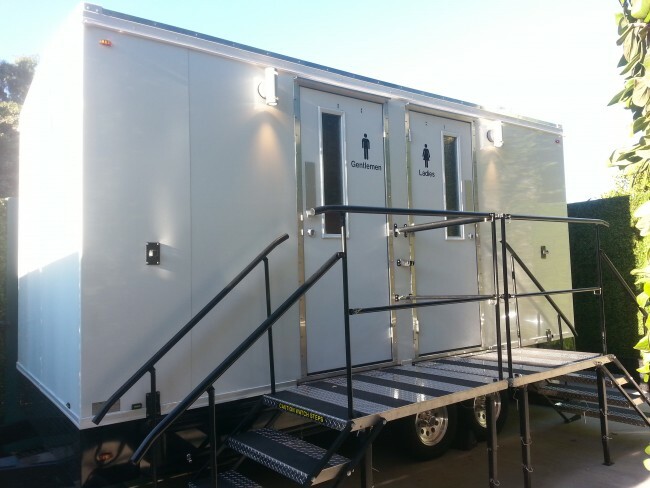 Browse our inventory of luxury restroom trailers perfect for any special event, hollywood premiere, wedding or fundraiser. The newest member to our Andy Gump fleet adds the modern sparkle to your next special event with its expresso interior and crystal chandelier. Guests can enjoy music from the included USB Port and AUX connection, as well as freshen up with the entry way framed mirror and custom wood vanity. 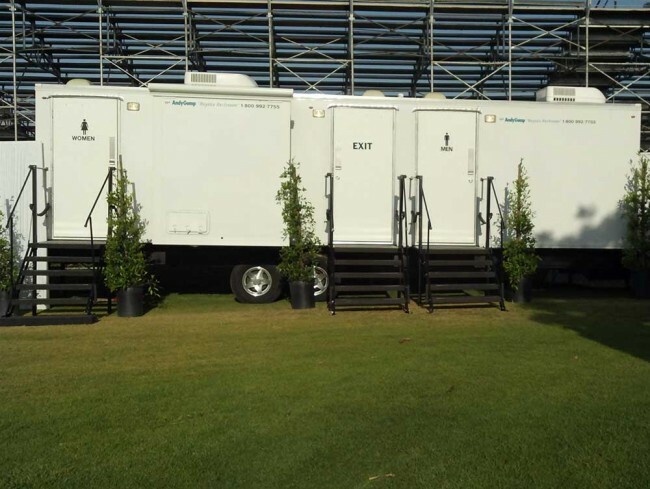 When you need the very best, ask for the Andy Gump Special Events Suite Portable Restrooms – the portable restroom of choice for events demanding the highest standards of quality. 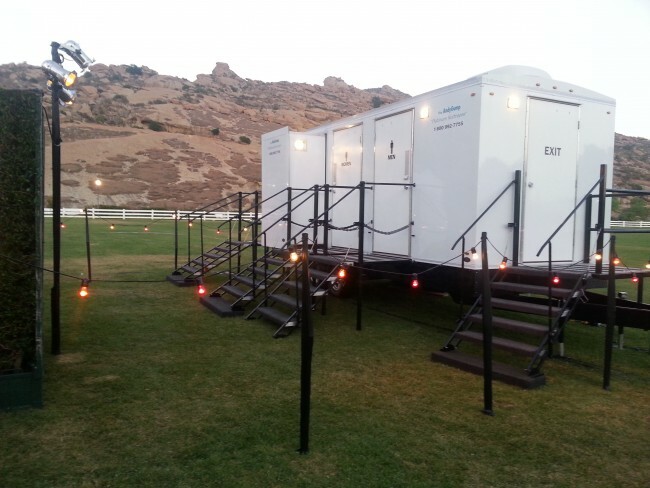 Add a touch of elegance to your next big event with our well-appointed Special Events Executive Restroom Trailer, which provides clean, comfortable and private men’s and women’s restrooms with Flushing porcelain toilets and urinals. 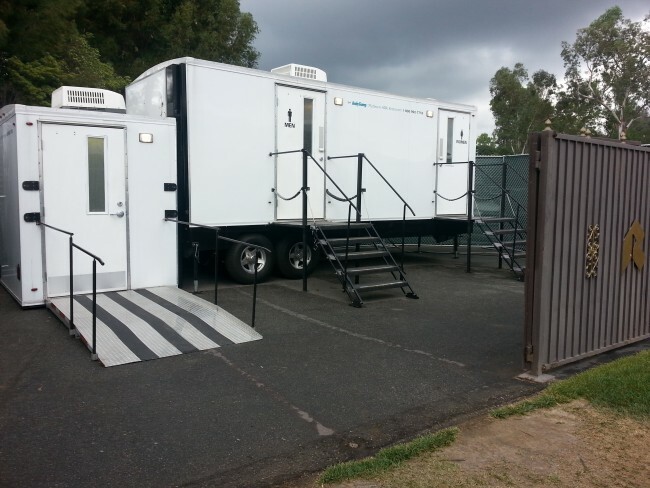 We can accommodate your guests’ individual needs with our convenient wheelchair accessible restroom trailers that comply with the Americans with Disabilities Act (ADA).